Steroids, HCG, Clomid, & Low Testosterone! Hi I'm a 32yr old male. Approximately 10 yrs ago I did a few cycles of steroids. After I did my last cycle I only did HCG a few times of 5000iu's. So about 8yrs ago I started to feel bad and didn't know why. Just about 6 months ago I saw a hormone doctor and he discovered that my Testosterone was low. I went to him because I was impotent also had fatigue all the time so kaiser offered me prescription drugs to deal with my depression and other things. I'm not taking any prescription drugs as of 6 months ago. So I did hcg 500iu 3x a week along with 50 clomid for a month got my testostrone up to high normal level so the doctor told me to taper the clomid and just continue the hcg. Did another blood test and my testosterone level dropped to the low range again. Now he tells me to start the clomid again and I'm feeling bad again. I'm typing this from my cell phone so bear with me. Can you help me out and just give me some advise? Let the above post be a lesson to anyone thinking about playing around with steroids. 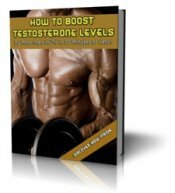 You will always experience some degree of negative feedback and hormonal shut down from anabolic steroid use. No matter what anyone else tells you, this is the cold hard truth. So, what can you do if it's too late? What if, like the author above, you've already tried steroids? In my opinion, based on feedback from many former steroid users, drugs aren't the answer to this problem. Because when you go off the meds, (clomid & HCG in this case) your testosterone levels drop right back down into the basement again. Well, you can go back on the meds again, and take them for the rest of your natural life. Can you imagine what that would do to a body over the long haul? This is the type of information the medical profession chooses to ignore. Drugs don't cure, they mask symptoms temporarily, and they ALWAYS come along with side effects. Side effects that are quite often worse than the original condition you're attempting to treat. I believe that there's only one real solution to this problem. Go to work on you body and bring in back into balance. 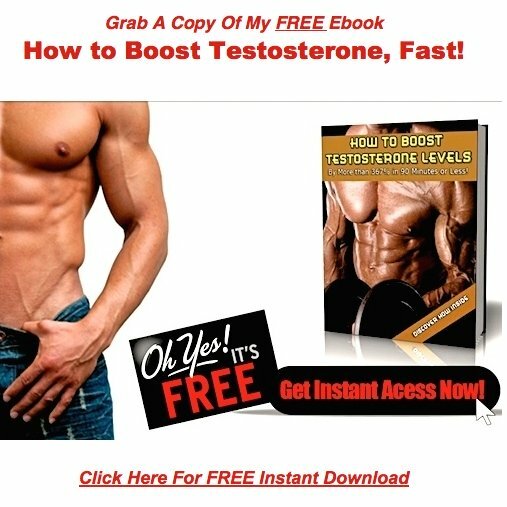 Bring your testicles back to life again, so they can start producing testosterone and other male androgen's just as mother nature intended.